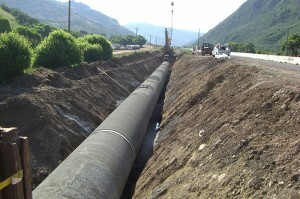 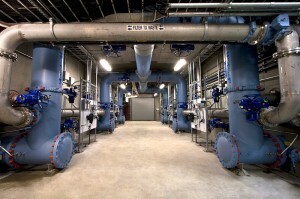 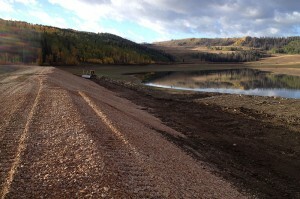 This reservoir rehabilitation and enlargement project was a joint venture with Obayashi. 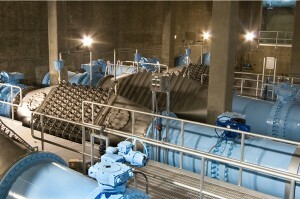 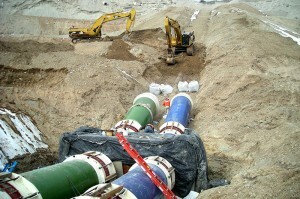 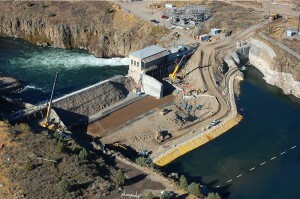 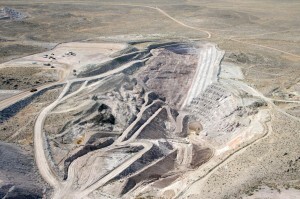 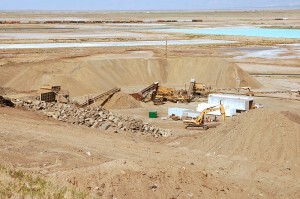 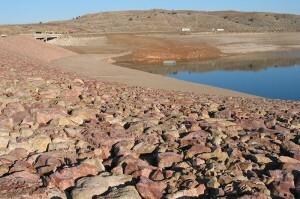 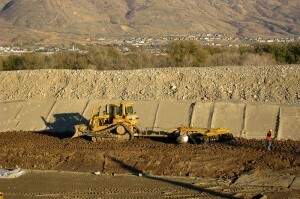 It doubled capacity of the Big Sand Wash Reservoir to 24,000 cubic yards and updated the operations equipment. 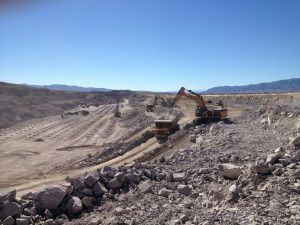 Remote access, traversing slopes, and extreme desert conditions created obstacles that required careful planning and management. 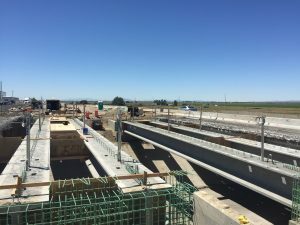 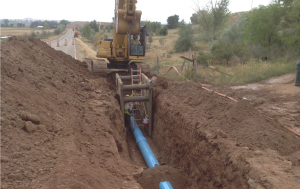 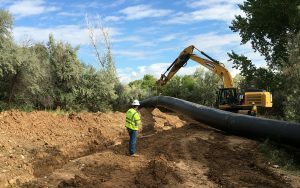 Excellent relationships with stakeholders, including the dam owners, water owners, the State Dam Safety board, the construction manager, the designer, and the Duchesne County Water Conservancy District, were critical to the success of this project. 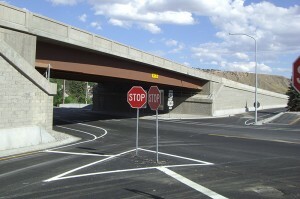 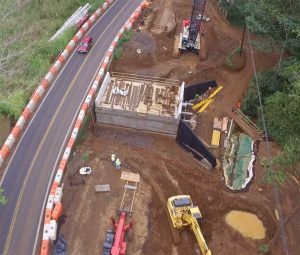 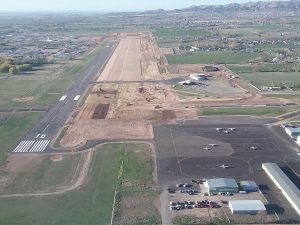 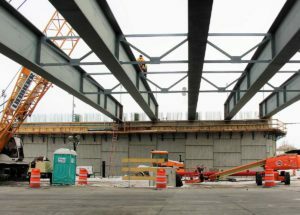 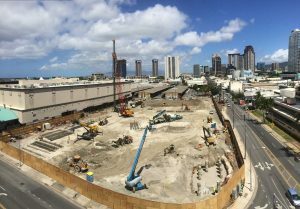 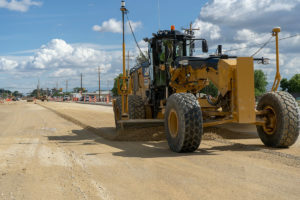 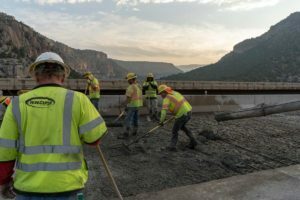 In addition, employees and subcontractors were encouraged to openly communicate ideas that would improve the project quality. 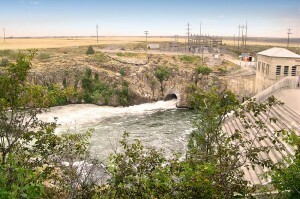 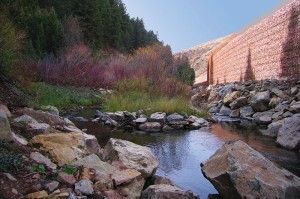 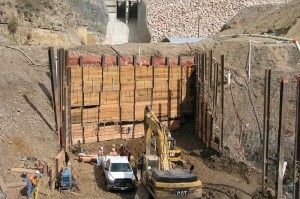 Work included new reservoir inlet and outlet works via 1,350 lineal feet of new tunnel, a spillway, highway relocation, excavation of the existing dam embankment, 1.5 M cubic yards of zoned earthfill reservoir embankment including clay core and chimney drains, 1,500 lineal feet of 72-inch welded steel pipe, and other related work. 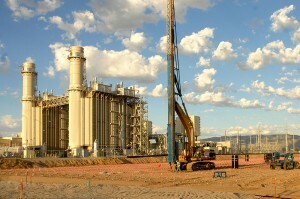 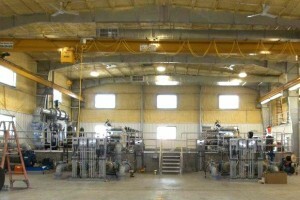 A mobile concrete batch plant was erected onsite to produce the concrete required for the project. 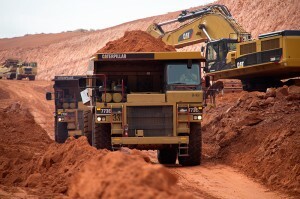 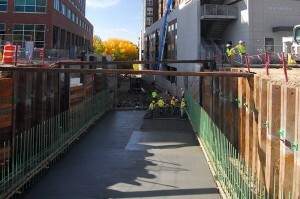 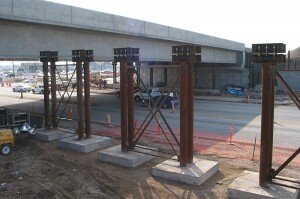 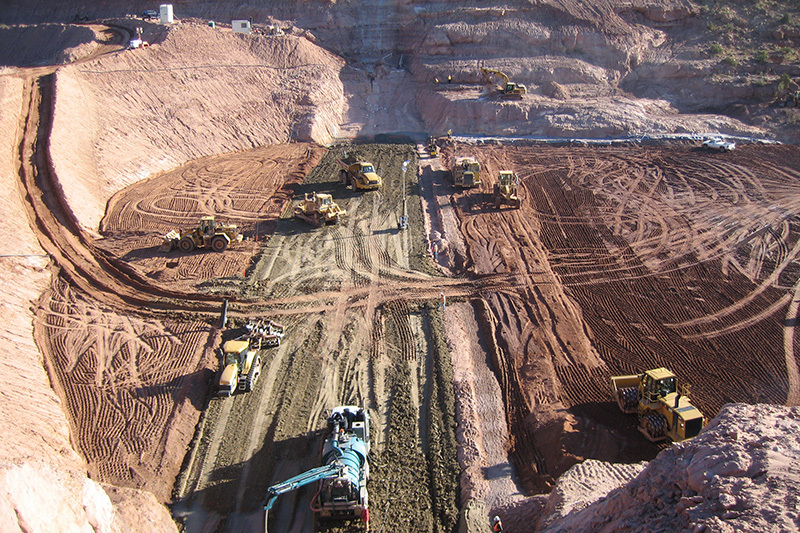 Partnering allowed the team to overcome difficult onsite conditions and material shortages. 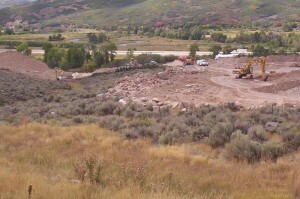 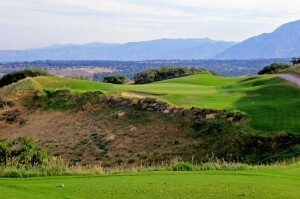 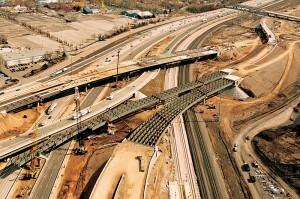 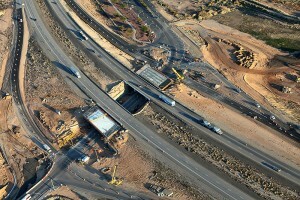 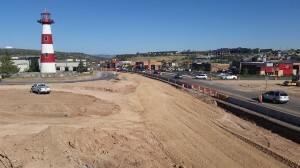 These included rock excavation, trenching, and steep abutment work. 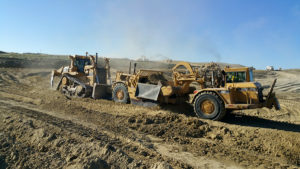 Ground water excavations in sandstone formations on the project proved to be a difficult area of the work that the project team was able to overcome with the utilization of many trenches and sump pumps. 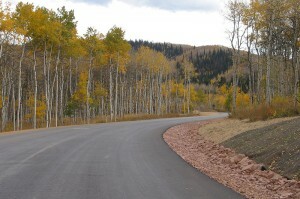 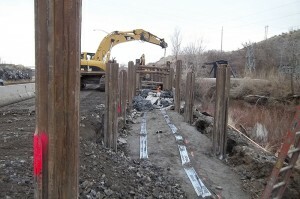 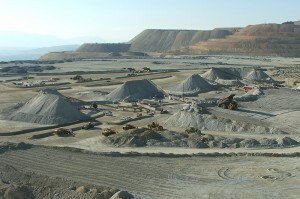 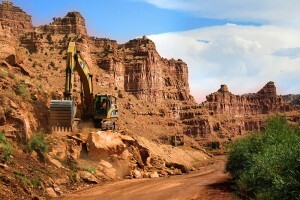 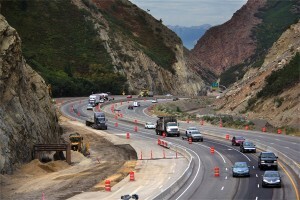 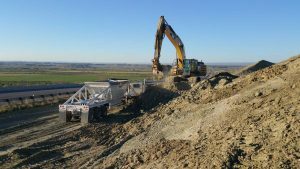 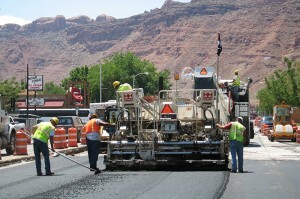 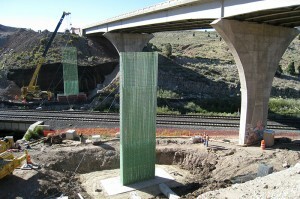 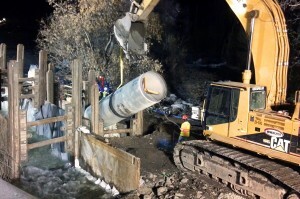 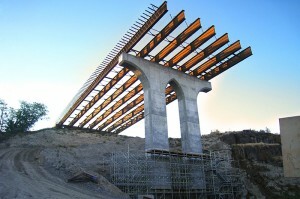 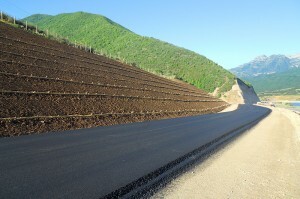 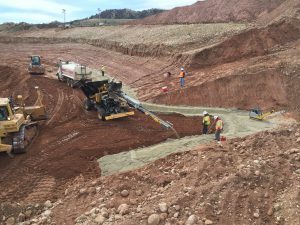 Innovations on this project included working with specialized rock cutting and steep slope equipment. 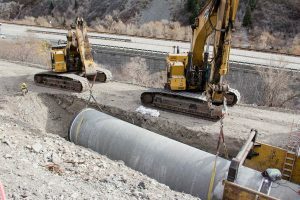 When unforeseen circumstances were encountered that jeopardized delivery dates, all partners met to discuss solutions that would keep the work on schedule. 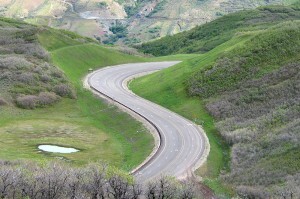 New ideas were brought forth and implemented without negative impacts. 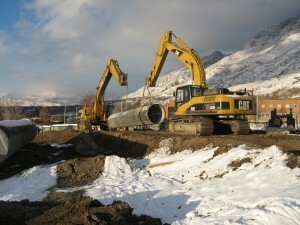 A resolution process facilitated through formal escalation ensured that the project was completed on time and without claims. 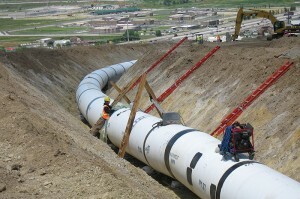 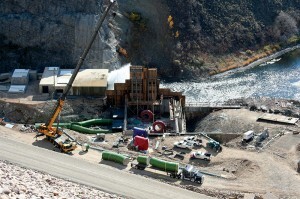 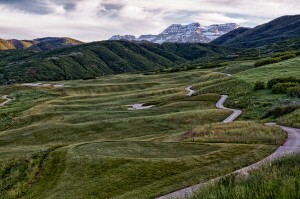 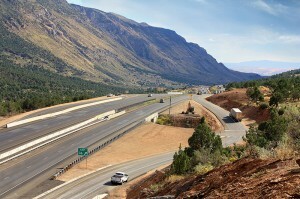 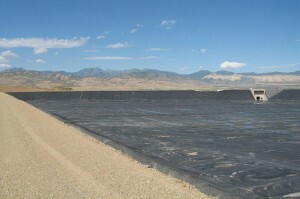 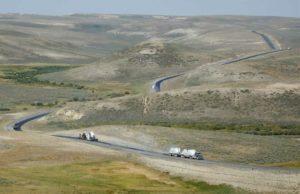 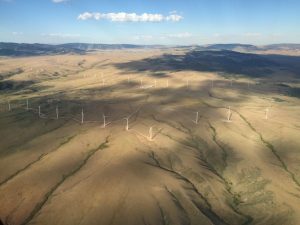 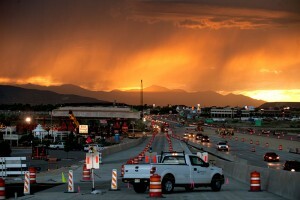 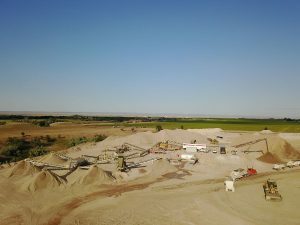 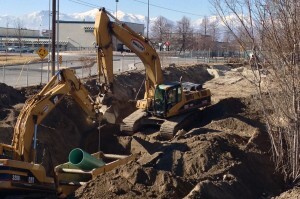 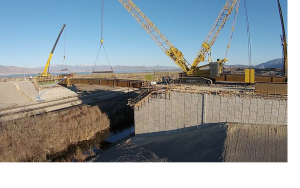 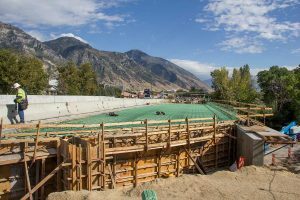 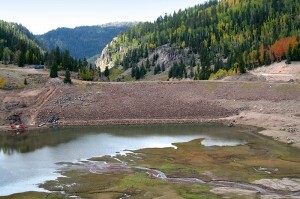 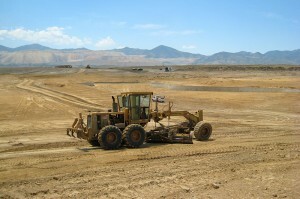 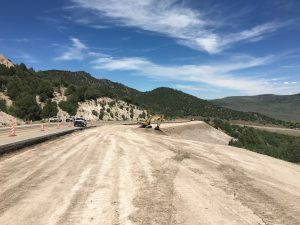 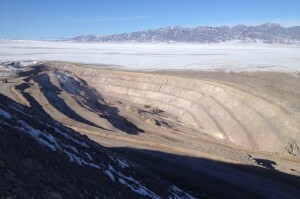 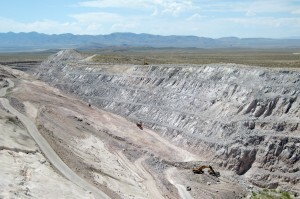 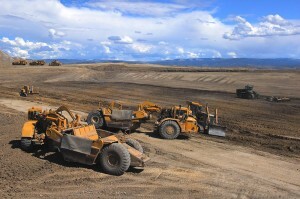 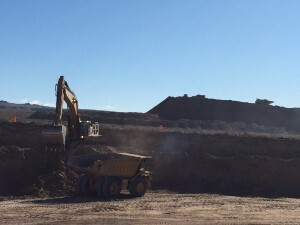 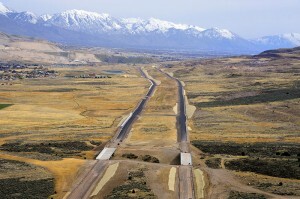 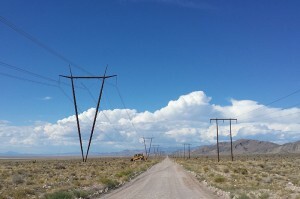 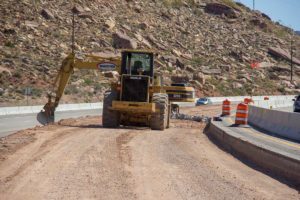 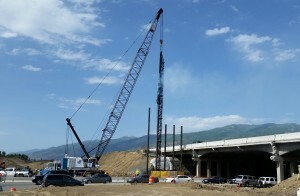 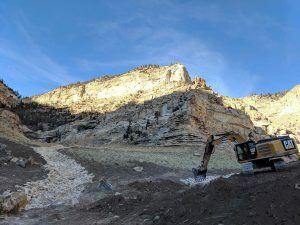 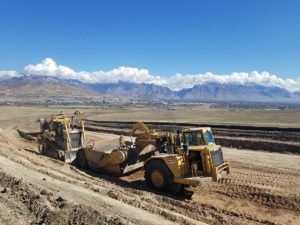 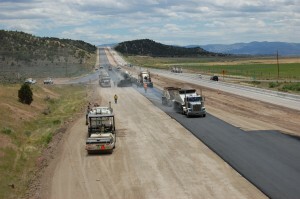 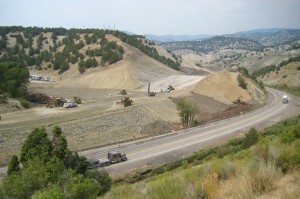 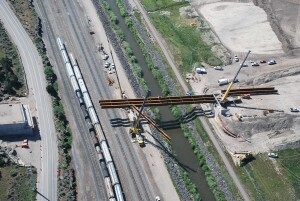 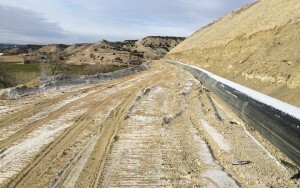 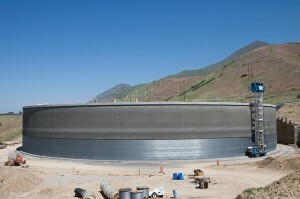 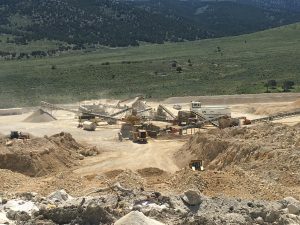 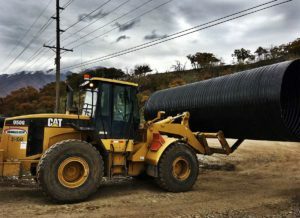 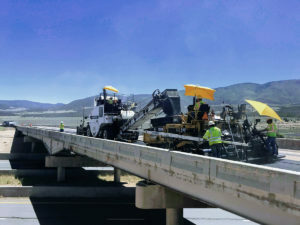 The Big Sand Wash Reservoir Enlargement Project has been recognized by various construction groups, including the Associated General Contractors of America and the Intermountain Contractors Association.